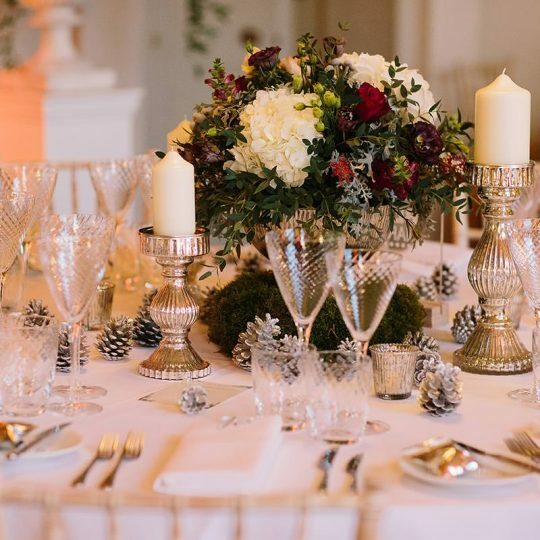 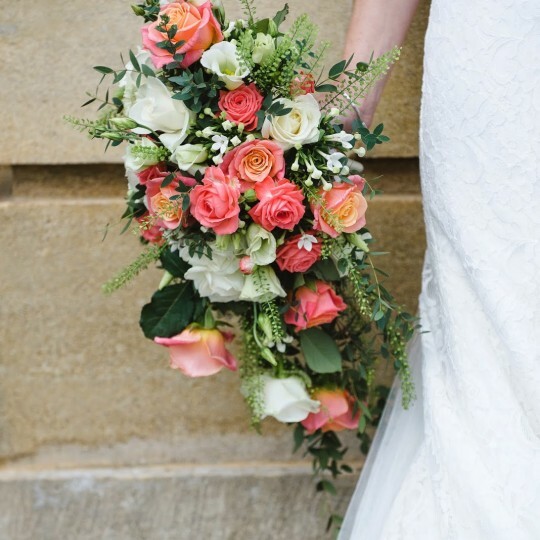 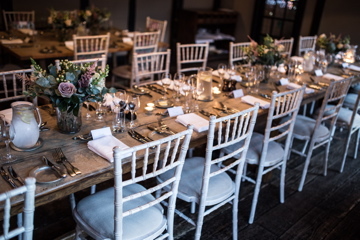 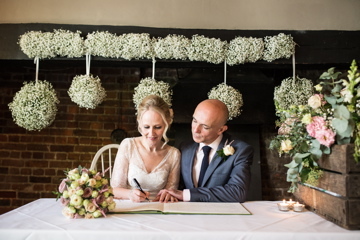 Beth and Simon's beautiful family wedding flowers, Buckinghamshire - Joanna Carter Wedding Flowers | Oxford, Oxfordshire, Berkshire, Buckinghamshire and London. 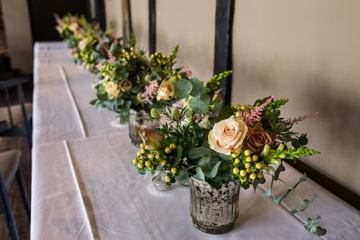 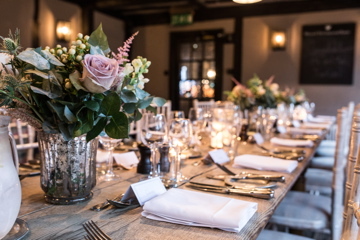 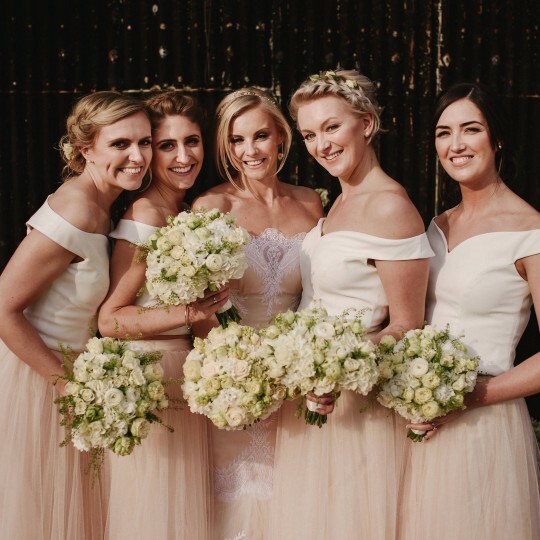 The ceremony and reception took place in the oak beamed dining room of the Hotel and was filled with lovely flowers that Beth had chosen to be subtle and pretty with a vintage twist. 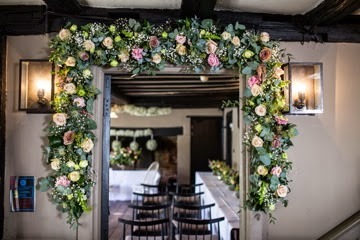 Beth asked us to make a stunning swag to go around the doorway at the entrance of the ceremony room to welcome guests. 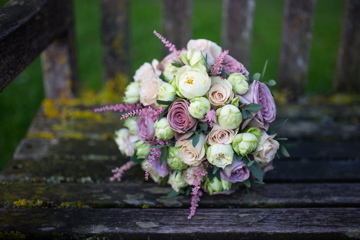 We filled it with quicksand, vendella and amnesia roses, astilbe, veronica and lisianthus as well as lots of eucalyptus and ivy foliage. 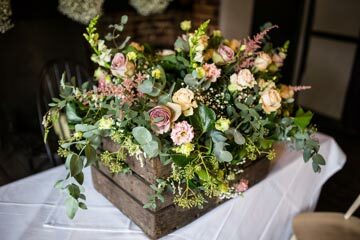 Inside the ceremony room we placed a big vintage apple crate filled with the same flowers as the swag. 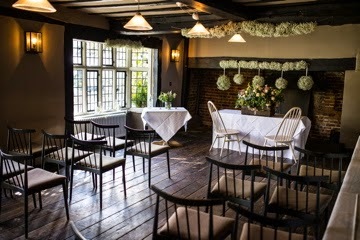 Beth and Simon stood in front of this for the ceremony. 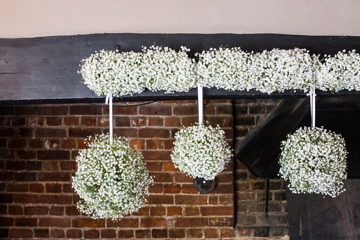 Along the ceiling beams and the fireplace we hung garlands and pomanders of gypsophila.